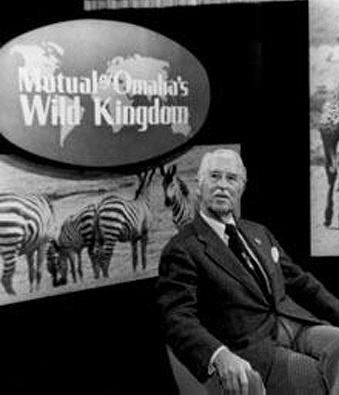 … Notable modern Omaha inventions include the TV dinner, developed by Omaha’s then-Carl Swanson Co.; Raisin Bran, developed by Omaha’s Skinner Macaroni Co.; cake mix, developed by Duncan Hines, then a division of Omaha’s Nebraska Consolidated Mills … the Reuben sandwich, conceived by a chef at the then-Blackstone Hotel …the bobby pin and the “pink hair curler,” at Omaha’s Tip Top; the ski lift, in 1936, by Omaha’s Union Pacific Corp;the “Top 40” radio format, pioneered by Todd Storz, scion of Omaha’s Storz Brewing Co., and head of Storz Broadcasting, which was the first in the U.S. to use the “Top 40” format at Omaha’s KOWH Radio. 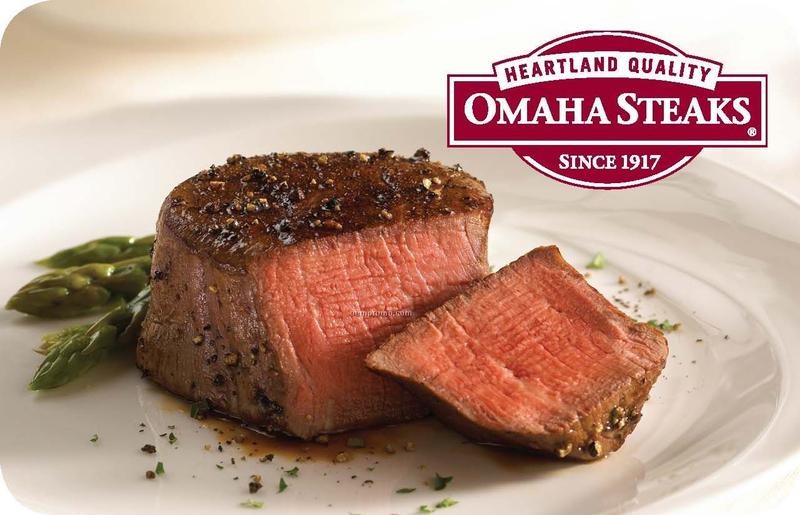 …and for Omaha Steaks, famous across the nation for mouth-watering steaks since their humble beginnings as a single butcher shop in Omaha in 1917. My dad, living in Michigan, used to mail-order a supply of these every year from the 1960s on. 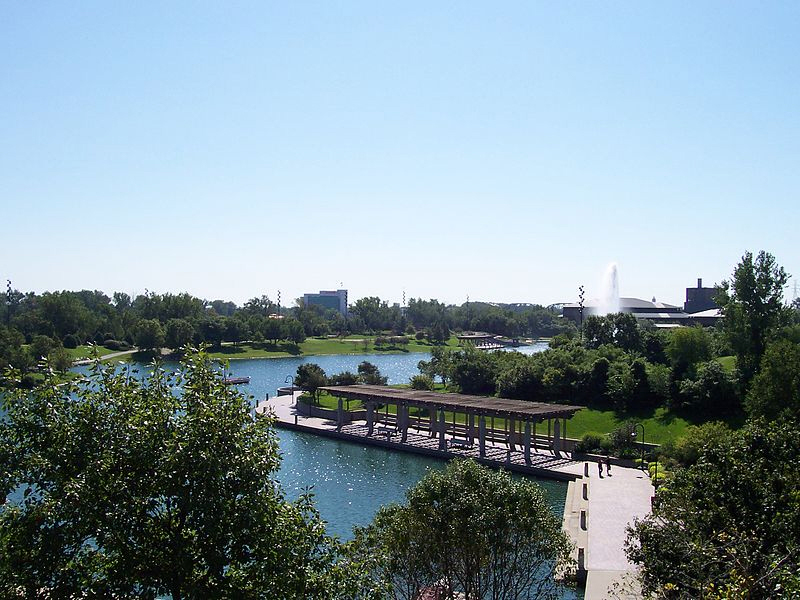 Lots of good things going on in Omaha! Two years after that famous butcher shop opened up, something else occurred that put Omaha on the map—and the national news. Pretty, peaceful place! 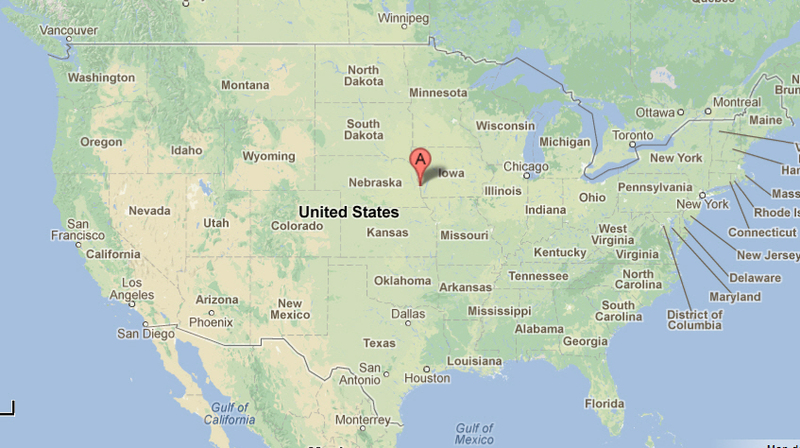 Named, no doubt, for the fact that Omaha itself, right on the eastern edge of Nebraska, looks on the map as if it is located smack-dab in the center of the whole USA, in the “Heartland” of America. 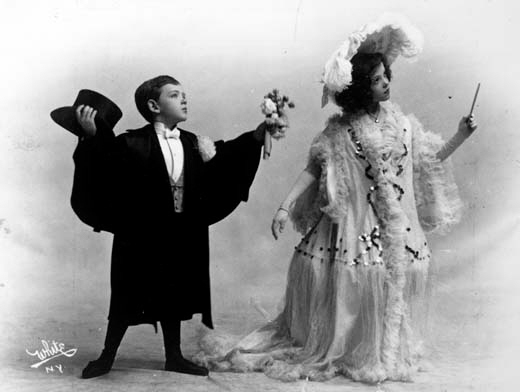 Something happened between those lofty aspirations of 1867 and the reality of 1919. And it happened just eight blocks or so from where the lovely Heartland of America Park is now, at the Douglas County Courthouse, seen here as it looks in recent times. 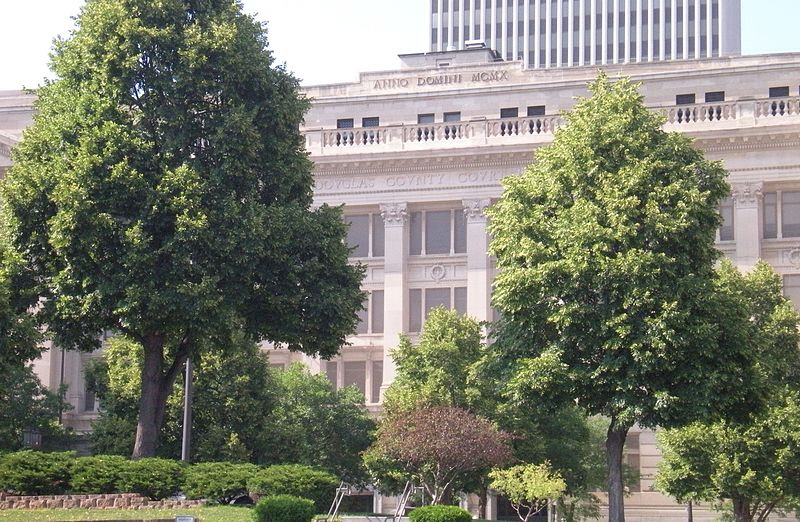 For Omaha, in the Heartland of America, especially right in front of this courthouse, wasn’t quite so pretty and peaceful in 1919. From May through September 1919, over 25 race riots [no, not riots BY people of the black race, but directed AT people of that race] rocked cities from Texas to Illinois, Nebraska to Georgia. 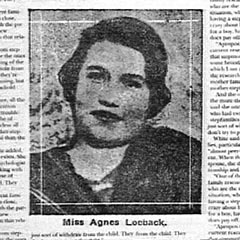 In Omaha, the trouble began on September 25, when a white woman, Agnes Loebeck, reported that she was assaulted by a black man. That evening, the police took a suspect to the Loebeck home. Agnes and her boyfriend Milton Hoffman (they were later married) identified a black packinghouse worker named Will Brown as the assailant. Before the police could leave the Loebeck house, a mob gathered outside and threatened to seize Brown. After an hour’s confrontation, police reinforcements arrived and Brown was transferred to the Douglas County Courthouse. Several police officers were ordered to report at once to police headquarters in case of further trouble, and 46 policemen and a detective were kept on duty well into the night. At about 2:00 p.m. on Sunday, September 28, 1919, a large group of white youths gathered near the Bancroft School in South Omaha and began a march to the Douglas County Courthouse, where Brown was being held. The march was intercepted by John T. Dunn, chief of the Omaha Detective Bureau, and his subordinates. Dunn attempted to disperse the crowd, but they ignored his warning and marched on. Thirty police officers were guarding the court house when the marchers arrived. By 4:00 p.m., the crowd had grown much larger. Members of the crowd bantered with the officers until the police were convinced that the crowd posed no serious threat. A report to that effect was made to the central police station, and the captain in charge sent fifty reserve officers home for the day. 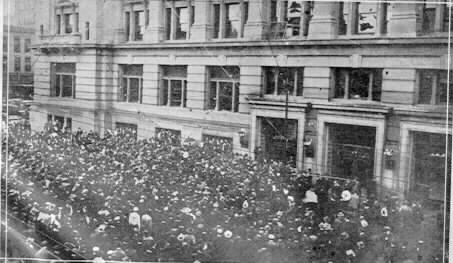 By 5:00 p.m., a mob of about 4,000 whites had crowded into the street on the south side of the Douglas County Courthouse. They began to assault the police officers, pushing one through a pane of glass in a door and attacking two others who had wielded clubs at the mob. At 5:15 p.m., officers deployed fire hoses to dispel the crowd, but they responded with a shower of bricks and sticks. Nearly every window on the south side of the courthouse was broken. 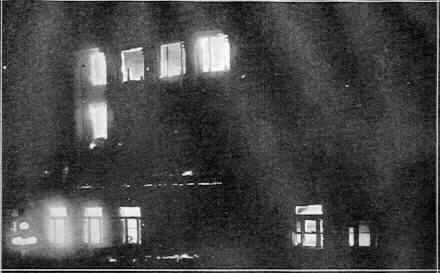 The crowd stormed the lower doors of the courthouse, and the Police inside discharged their weapons down an elevator shaft in an attempt to frighten them, but this further incited the mob. They again rushed the police who were standing guard outside the building, broke through their lines, and entered the courthouse through a broken basement door. It was at this moment that Marshal Eberstein, chief of police, arrived. He asked leaders of the mob to give him a chance to talk to the crowd. He mounted to one of the window sills. Beside him was a recognized chief of the mob. At the request of its leader, the crowd stilled its clamor for a few minutes. Chief Eberstein tried to tell the mob that its mission would best be served by letting justice take its course. The crowd refused to listen. Its members howled so that the chief’s voice did not carry more than a few feet. Eberstein ceased his attempt to talk and entered the besieged building. By 6 p.m., throngs swarmed about the court house on all sides. The crowd wrestled revolvers, badges and caps from policemen. They chased and beat every colored person who ventured into the vicinity. White men who attempted to rescue innocent blacks from unmerited punishment were subjected to physical abuse. The police had lost control of the crowd. By 7 p.m., most of the policemen had withdrawn to the interior of the court house. There, they joined forces with Michael Clark, sheriff of Douglas County, who had summoned his deputies to the building with the hope of preventing the capture of Brown. The policemen and sheriffs formed their line of last resistance on the fourth floor of the court house. 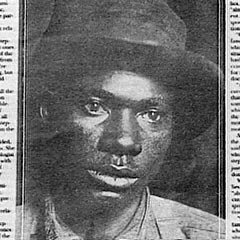 Louis Young, 16 years old, was fatally shot in the stomach while leading a gang up to the fourth floor of the building. Witnesses said the youth was the most intrepid of the mob’s leaders. Pandemonium reigned outside the building. At Seventeenth and Douglas Streets, one block from the court house, James Hiykel, a 34-year-old businessman, was shot and killed. 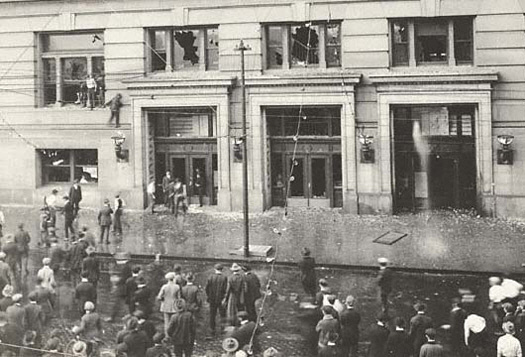 The crowd continued to strike the courthouse with bullets and rocks. Spectators were shot. Participants inflicted minor wounds upon themselves. Women were thrown to the ground and trampled. Blacks were dragged from streetcars and beaten. About 11 o’clock, when the frenzy was at its height, Mayor Edward Smith came out of the east door of the courthouse into Seventeenth Street. He had been in the burning building for hours. As he emerged from the doorway, a shot rang out. “He shot me. Mayor Smith shot me,” a young man in the uniform of a United States soldier yelled. The crowd surged toward the mayor. He fought them. One man hit the mayor on the head with a baseball bat. Another slipped the noose of a rope around his neck. The crowd started to drag him away. “If you must hang somebody, then let it be me,” the mayor said. An amazing act of courage! Many of these lynching stories have few or no heroes, who attempted to stop the psychopathic rampage. This one does—Mayor Edward Smith had been mayor for barely a year, and had been elected on a reform ticket with the intent to clean up political corruption in the city. Unfortunately, the events of this night may have in part reflected participation by Smith’s rivals. The mob dragged the mayor into Harney Street. A woman reached out and tore the noose from his neck. Men in the mob replaced it. Spectators wrestled the mayor from his captors and placed him in a police automobile. The throng overturned the car and grabbed him again. 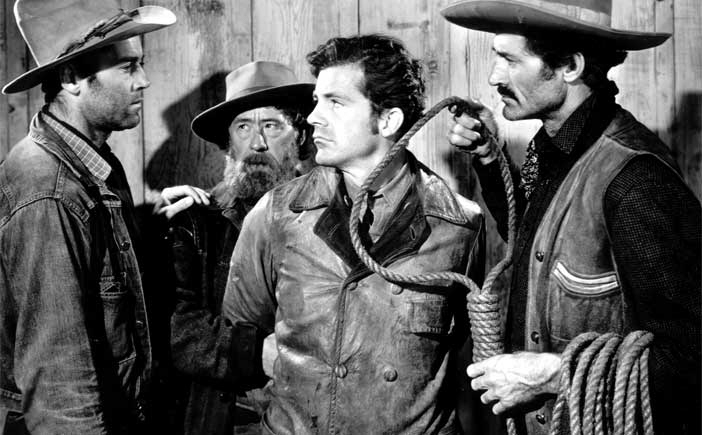 Once more, the rope encircled the mayor’s neck. He was carried to Sixteenth and Harney Streets. There he was hanged from the metal arm of a traffic signal tower. Mayor Smith was suspended in the air when State Agent Ben Danbaum drove a high-powered automobile [remember… this was 1919!] into the throng right to the base of the signal tower. In the car with Danbaum were City Detectives Al Anderson, Charles Van Deusen and Lloyd Toland. They grasped the mayor and Russell Norgard untied the noose. The detectives brought the mayor to Ford Hospital. There he lingered between life and death for several days, finally recovering. “They shall not get him. 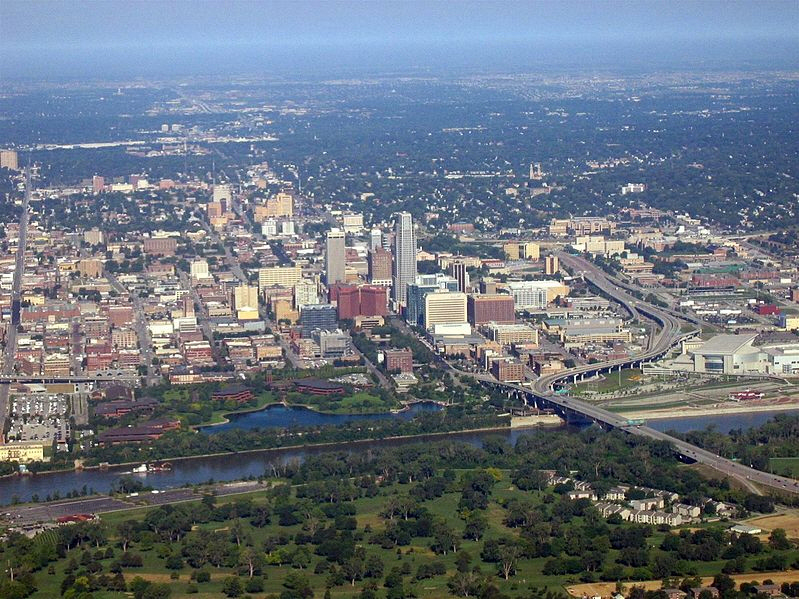 Mob rule will not prevail in Omaha,” the mayor kept muttering during his delirium. The Mayor was in error. Meanwhile the plight of the police in the court house had become desperate. The fire had licked its way to the third floor. The officers faced the prospect of roasting to death. Appeals for help to the crowd below brought only bullets and curses. The mob frustrated all attempts to raise ladders to the imprisoned police. “Bring Brown with you and you can come down,” somebody in the crowd shouted. On the second floor of the building, three policemen and a newspaper reporter were imprisoned in a safety vault, whose thick metal door the mob had shut. The four men hacked their way out through the court house wall. The mob shot at them as they squirmed out of the stifling vault. The gases of formaldehyde added to the terrors of the men imprisoned within the flaming building. Several jars of the powerful chemical had burst on the stairway. Its deadly fumes mounted to the upper floors. Two policemen were overcome. Their companions could do nothing to alleviate their sufferings. Sheriff Clark led his prisoners (there were 121 of them) to the roof. 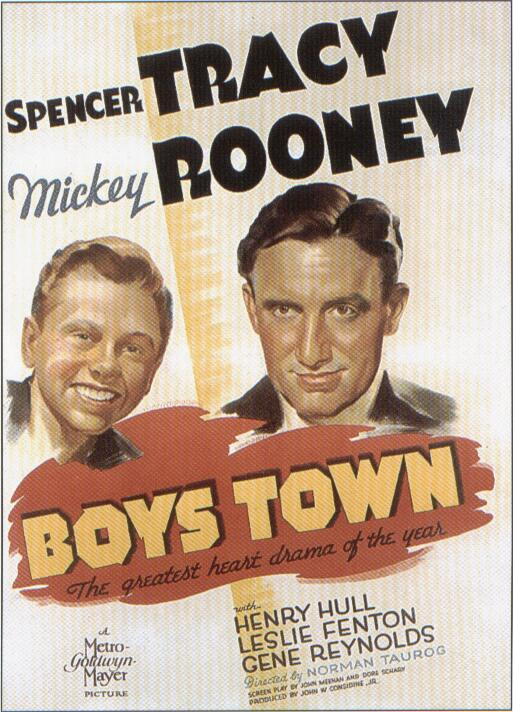 Will Brown, for whom the mob was howling, became hysterical. Blacks, fellow prisoners of the hunted man, tried to throw him off the roof. Deputy Sheriffs Hoye and McDonald foiled the attempt. Yes, there were a number of other courageous men there that night too! May God bless the memory of their dedication to their obligations. The mob poured more gasoline into the building. They cut every line of hose that firemen laid from nearby hydrants. The flames were rapidly lapping their way upward. It seemed like certain cremation for the prisoners and their protectors. The mob in the street shrieked its delight at the last message. Boys and young men placed firemen’s ladders against the building. They mounted to the second story. One man had a heavy coil of new rope on his back. Another had a shotgun. Will Brown had been captured. A few minutes more and his lifeless body was hanging from a telephone post at Eighteenth and Harney Streets. Hundreds of revolvers and shotguns were fired at the corpse as it dangled in mid-air. Then, the rope was cut. Brown’s body was tied to the rear end of an automobile. It was dragged through the streets to Seventeenth and Dodge Streets, four blocks away. The oil from red lanterns used as danger signals for street repairs was poured on the corpse. It was burned. Members of the mob hauled the charred remains through the business district for several hours…. The lawlessness continued for several hours after Brown had been lynched. The police patrol [vehicle] was burned. The police emergency automobile was burned. Three times, the mob went to the city jail. The third time its leaders announced that they were going to burn it. Soldiers arrived before they could carry out their threat. The riot lasted until 3 a.m., on the morning of September 29. At that hour, federal troops, under command of Colonel John E. Morris of the Twentieth Infantry, arrived from Fort Omaha and Fort Crook. 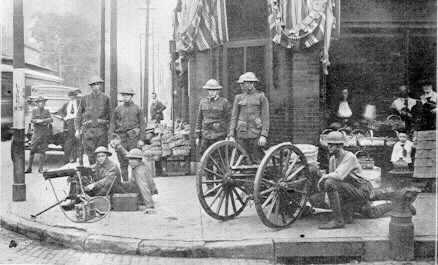 Troops manning machine guns were placed in the heart of Omaha’s business district; in North Omaha, the center of the black community, to protect citizens there; and in South Omaha, to prevent more mobs from forming. Major General Leonard Wood, commander of the Central Department, came the next day to Omaha by order of Secretary of War Newton D. Baker. Peace was enforced by 1,600 soldiers. So, given the incredible loss of life and property, the terror inflicted on not just the focal point of the mass hysteria (Will Brown) but on large numbers of whites and blacks including police—and male and female prisoners—and innocent bystanders… given all that, how much justice prevailed when the smoke cleared? Despite photographs that allowed authorities to identify several hundred of the lynch mob including the chief agitators, no one was ever prosecuted for the crimes committed that fearful night. Yes, there were the usual “souvenir postcard pictures.” Such as this one with a charred vaguely human shape that is barely a foot or two from the smiling people you see in the front row proudly getting their pictures taken for posterity. You may have been under the impression that this was only a “man’s sport.” But the following (cropped) picture taken from just a slightly different angle, clearly shows a beaming female near the center of the photo, complete with fashionable hat and coat, leering over the same horrific scene. This wasn’t a “Mafia mob” battle of the Roaring Twenties. This wasn’t New York street gangs in a rumble, as depicted in West Side Story. This wasn’t a screaming mob of fanatic Muslims in some Middle Eastern country. This was thousands upon thousands of “ordinary citizens” in the Heartland of the United States of America. A large percentage of whom … likely attended the Church of Their Choice the next Sunday morning! Just as an aside, given the words “all men are created equal” in the Constitution, have you ever wondered why “equality” wasn’t part of the Pledge, along with liberty and justice? I looked it up. It seems that the author of the pledge already knew that “liberty and justice” had been very elusive throughout the country’s history. Throwing in “equality” would have been just too much to expect! The pledge was written by Francis Bellamy, a “Christian socialist” Baptist minister, in 1892 as part of a national 400th anniversary celebration of Columbus’s arrival in the Americas, promoted by the popular children’s magazine of the time, The Youth’s Companion. The magazine created “an official program for universal use in all the schools” as part of the Columbus Day celebration that was declared by Congress and President Benjamin Harrison. It included Bellamy’s pledge. Yes, the Pledge does not include any mention of equality specifically as a response to racial prejudice in America at the time—prejudice even among educators!—still rampant 100 years after “all men are created equal” was included in the Constitution. And almost 30 years after the end of a war that had been fought, at least ostensibly, to make that equality a reality for the blacks in America. 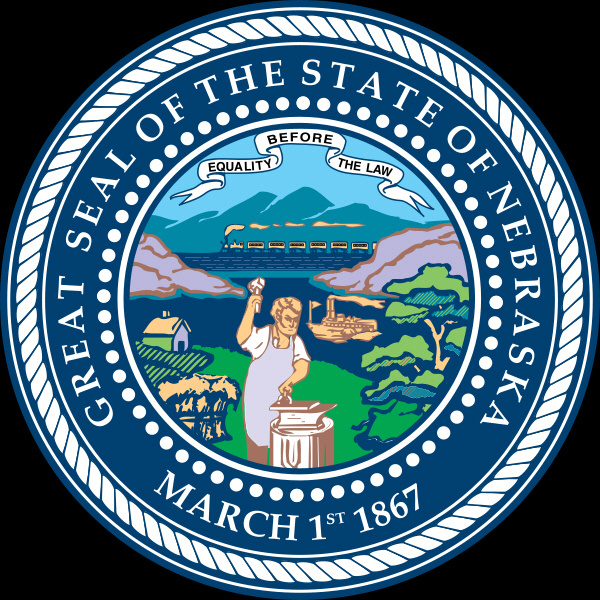 But back to the Heartland of America… I’m not sure how witnessing that horrific set of events in Omaha in 1919 ultimately impacted most of those who were on the scene that night. But we do have a record of how it affected one young fourteen year old man. 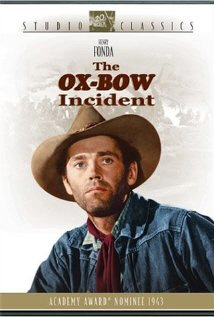 Nebraska-born actor Henry Fonda was 14 years old when the lynching happened. His father owned a printing plant across the street from the courthouse. He watched the riot from the second floor window of his father’s shop. …only to discover by the end of the movie that all three were innocent. 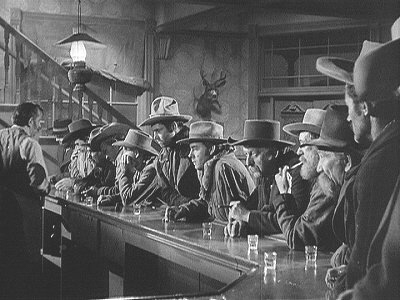 There was lots of remorse among the vigilantes as they gather afterwards in the saloon in the end of that movie. One participant was so overcome with guilt he committed suicide. But, of course, that was in a work of fiction. 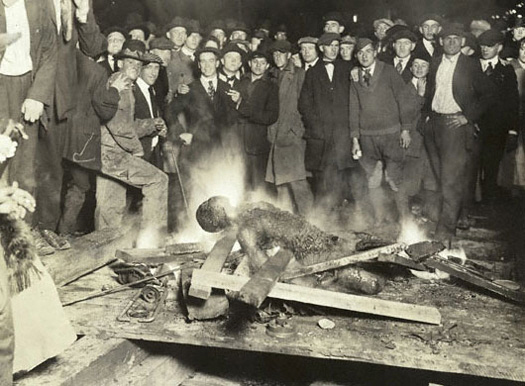 This entry was posted in lynching and tagged 1919, lynching, omaha, Pam Dewey. Bookmark the permalink.